The USAID, the Ford Foundation, Show of Force, and Games for Change launched the Half the Sky Movement Media and Technology Engagement Initiative to create behavior change toward gender issues in India and Kenya through an integrated media campaign. It will use a combination of traditional and social media, which has been demonstrated to be a powerful approach for shifting gender-related norms and behavior. USAID is a part of a new alliance, along with the Ford Foundation, Show of Force, and Games for Change, called the Half the Sky Movement Media and Technology Engagement Initiative. This new alliance builds on an initiative developed with Pulitzer Prize-winning journalists Nicholas Kristof and Sheryl WuDunn, authors of the book, 'Half the Sky: Turning Oppression into Opportunity for Women Worldwide'. The initiative is focused on advancing gender equality, which is increasingly being recognized as a key factor in improving development outcomes. Each additional year of education for women reduces child mortality by 18 per thousand births. When women cannot fully engage in the labor force, either by law or custom, GDP growth can suffer by as much as two percent. The Half the Sky Movement is cutting across platforms to ignite the change needed to put an end to the oppression of women and girls worldwide, the defining issue of our time. The Movement brings together video, websites, games, blogs and other educational tools to not only raise awareness of women's issues, but to also provide concrete steps to fight these problems and empower women. To date, supporters of the movement have donated more than US$ 5 million to organizations helping women and girls; more than 1.1 million people have played the Facebook game; and more than 1,500 campus and community ambassadors have hosted screenings, held panel discussions, and educated members of their communities about the issues facing millions of women and girls and the inspiring individuals and organizations that are working for a fairer, freer world. 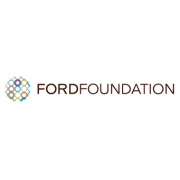 The Ford Foundation supports visionary leaders and organizations on the frontlines of social change worldwide. They believe all people should have the opportunity to reach their full potential, contribute to society, and have voice in the decisions that affect them. Headquartered in New York City, they make grants in all 50 states, and through 10 regional offices around the world, they support programs in more than 50 countries. The foundation was created with gifts and bequests by Edsel and Henry Ford. It is an independent, nonprofit, nongovernmental organization, with its own board, and is entirely separate from the Ford Motor Company. They believe in the inherent dignity of all people. But around the world, too many people are excluded from the political, economic, and social institutions that shape their lives. In addressing this reality, they are guided by a vision of social justice—a world in which all individuals, communities, and peoples work toward the protection and full expression of their human rights; are active participants in the decisions that affect them; share equitably in the knowledge, wealth, and resources of society; and are free to achieve their full potential. Across eight decades, their mission has been to reduce poverty and injustice, strengthen democratic values, promote international cooperation, and advance human achievement. They believe that social movements are built upon individual leadership, strong institutions, and innovative, often high-risk ideas. While the specifics of what they work on have evolved over the years, investments in these three areas have remained the touchstones of everything they do and are central to their theory of how change happens in the world. These approaches have long distinguished the Ford Foundation, and they have had a profound cumulative impact. Show of Force, founded in 2006 by veteran film and television producers Maro Chermayeff and Jeff Dupre, is known for creating award-winning feature documentaries, event television series, and groundbreaking transmedia projects. Their work includes the forthcoming 8-hour music series Soundbreaking, produced in partnership with legendary Beatles producer Sir George Martin; the Peabody and Emmy Award-winning Marina Abramović: The Artist is Present for HBO, Kehinde Wiley: An Economy of Grace, the 2014 SXSW Jury Prize winner for Best Documentary Short; Mann v. Ford, a feature-length documentary for HBO; the 6-hour PBS series Circus; and the Emmy Award-winning 10-hour PBS series Carrier. Their projects A Path Appears and Emmy Honors-recipient Half the Sky: Turning Oppression into Opportunity for Women Worldwide, based on the bestselling books by the Pulitzer Prize-winning New York Times columnist Nicholas Kristof and Sheryl WuDunn, were two 4-hour broadcast series on PBS and multi-platform initiatives that reached more than 40 million people worldwide, generated 3 billion media impressions and included mobile and Facebook games. Show of Force is currently in production on a new multi-part series, Soundtracks: Songs That Made History, in partnership with Dwayne Johnson and Dany Garcia / Seven Bucks Productions, as well as a multi-platform initiative on the global refugee crisis being produced through their Social Good division called Humanity on the Move, which harnesses the power of storytelling to create change. Their mission is to create media and mobile tools to educate and empower people to take action on core social justice issues and to build successful models of behavioral change in digital communication and content–from strategy to measurement and evaluation–impacting NGOs, foundations and socially responsible corporations. Show of Force: Social Good builds global campaigns that shine a light on successful programs and leverage a powerful and trusted network of media distributors, broadcasters, NGOs, actor/advocates and engaged global ambassadors to reach new audiences and further impact. Founded in 2004, Games for Change empowers game creators and social innovators to drive real-world change using games that help people to learn, improve their communities, and contribute to make the world a better place. They convene stakeholders through their annual G4C Festival and foster the exchange of ideas and resources through workshops and consulting projects. They inspire youth to explore civic issues and learn 21st-century and STEM skills through our Student Challenge and train educators to run game design classes on impact games. They incubate projects through their game design challenges and executive production expertise in coalition building. They act as an amplifier by curating and evangelizing games for change to the public through their games arcades and awards. They aim to leverage entertainment and engagement for social good. To further grow the field, Games for Change convenes multiple stakeholders, highlights best practices, incubates games, and helps create and direct investment into new projects. When disaster strikes, the world turns to one organization for hope, help, leadership, and coordination: the United Nations. When there is peace to keep between warring factions, the world asks the UN to mobilize peacekeepers, oversee elections, and create stability. In the face of challenges such as global warming, the United Nations provides the platform for international cooperation. The United Nations is the one international organization with the reach and vision capable of solving global problems. The United Nations Foundation links the UN’s work with others around the world, mobilizing the energy and expertise of business and non-governmental organizations to help the UN tackle issues including climate change, children’s health, peace and security, and poverty eradication. Despite recent outbreaks in the United States and the United Kingdom, measles has all but been eliminated in parts of the world. But it still kills more than 242,000 people globally each year, mainly children under 5. One solution is integrated, countrywide measles campaigns carried out by country governments with support from the Measles Initiative. These large-scale, coordinated efforts, organized by the Measles Initiative, are aimed at reducing measles deaths by 90 percent. Polio can be eradicated; less than 1,500 new cases are reported each year. As we get closer to wiping this disease off the map, literally, the work only gets harder. Most of the children who are infected aren’t located in one place but instead are spread across dozens of remote communities in India and Nigeria. It takes a global effort to end this disease forever, which is why we support the Global Polio Eradication Initiative. The Copenhagen climate change negotiations provide a new basis for countries to collectively tackle climate change. We are working with the UN Secretary-General and his Climate Team, government, business, and non-profit leaders to carry forward the progress made in Copenhagen. Energy efficiency is the cheapest, fastest and smartest strategy available for saving money and resources and reducing greenhouse gas emissions around the world. The UN Foundation is building support among UN, government and business leaders for a strategy to double the annual rate of global energy efficiency improvement. Access to clean and affordable modern energy is critical to fostering lasting social and economic development and to achieving the Millennium Development Goals. We are working with UN-Energy on a campaign to achieve universal energy access by 2030. Tourism is the world’s largest industry, and constantly growing. One in every 12 jobs is tourism related, and tourism-related activities generate more than $3.6 trillion a year. Yet, all the impacts of tourism aren’t positive. Blatant disregard for the environmental and cultural impacts of travel on World Heritage sites has led to site degradation, and unless we act quickly many of the sites will not recover. Promoting sustainable travel is a way to encourage responsible travel and help protect World Heritage sites. Fostering small, local businesses and helping them better promote their goods and services is a tangible way to have a positive impact on the communities around World Heritage sites. By doing this, we have helped ensure that local customs and cultures are maintained, jobs are created and communities grow, sustainably. Local producers and manufacturers are an important source of products for businesses around World Heritage sites. Working with governments, corporations and other partners, we have explored how these local-based entrepreneurs are ensured fair and equal access to the global marketplace. Natural and humanitarian disasters are increasingly occurring around the world. Through our partnerships with Télécoms Sans Frontières and the World Food Programme, we have supported many emergency deployments to help reestablish communications, provide equipment and help support humanitarian response. Technology in the developing world is helping to close the digital divide, creating unprecedented opportunities to meet long-standing challenges to international development goals. We commission rigorous research analyzing how technology—especially mobile technology—helps support efforts to improve well-being and save lives in the developing world. The rapid expansion of mobile technologies in the developing world can radically improve health systems and the delivery of healthcare in those countries that need it most. We are working with the World Health Organization, national governments, and DataDyne.org to strengthen public health in the developing world. Every minute, in the developing world, a woman dies in childbirth. Twenty or more women experience serious complications and many are left with infections and severe disabilities. Every day, 6,800 people are newly infected with HIV/AIDS—half are under the age of 25 and 60 percent of those are women or girls. Helping provide family planning information, consistent sexual and reproductive health services and access to quality maternal health care will help save millions of lives each year. The situation of adolescent girls is particularly complex. Deep-rooted traditions of patriarchy and the subordination of women and girls make it difficult for adolescent girls to realize their rights in many parts of the world. But by redirecting investments to programs specific to adolescent girls and young women, we can make a real difference. Numerous studies show that investments in adolescent girls’ development translate into significant, long-term benefits for entire societies. For example, a year of schooling increases a woman’s income by 10 to 20 percent during her lifetime. The United Nations Population Fund (UNFPA) and the United Nations Development Fund for Women (UNIFEM) are two of the UN’s key agencies that help promote gender equality, empower women and improve maternal health care (Millennium Development Goals #3 and #5). We work with them on a number of key campaigns and initiatives to raise awareness of the work that the agencies are doing to combat violence against women, provide better maternal health care and promote education and literacy. The U.S. is the largest contributor to the UN and is responsible for 22 percent of the UN’s regular budget and 26 percent of the UN’s peacekeeping budget. As of March 2008, the U.S. was $1.6 billion behind in its treaty obligations to the United Nations. The U.S.’s failure to pay its bills on time and in full could have a negative impact on key UN operations, including jeopardizing the 19 peacekeeping missions around the world. Through our sister organization, the Better World Campaign, we educate the public on the role the UN plays in addressing key global challenges so that no country has to pay all the bills or take all the risks in promoting global peace and progress. We work closely with the UN to communicate effectively with governments about the UN’s work and challenges the organization faces. Our work supports UN crisis communications and adoption of new information strategies that help to better tell the UN story. IKEA Foundation (Stichting IKEA Foundation) is an independent charitable foundation that oversees IKEA’s global philanthropy. The Foundation resides in the Netherlands and their funds come from the Stichting INGKA Foundation. They fund dozens of programmes run by large and small organisations to make life better for children living in extreme poverty. The Foundation envisions itself working toward a world where children living in poverty have more opportunities to create a better future for themselves and their families. Their mission is to create substantial and lasting change by funding holistic, long-term programmes in some of the world’s poorest communities that address children’s fundamental needs: home, health, education and a sustainable family income. By 2015, Thanks to IKEA’s dedicated co-workers and customers, 100 million children will benefit from their currently funded programmes. raised €10.1 million through our Soft Toys for Education campaign for UNICEF and Save the Children. Better lives for refugee children and families – The Foundation supports projects that address children’s need for a safe place to call home, and we share IKEA’s specialist logistics knowledge to help partners get emergency supplies where they’re needed quickly. Fighting the root causes of child labour and promoting children’s rights – The Foundation funds programmes that promote children’s rights, giving them access to education, healthcare and a sustainable family income so they can create more opportunities for themselves and their families. Empowering women and girls - By empowering women—through education, skills training, better healthcare or providing a loan to set up a small business—we can improve children’s health, education and future opportunities. Emergency Response - All children should have the right to learn and play. But when natural disasters and conflicts turn their lives upside down, they lose the chance to simply be a child. 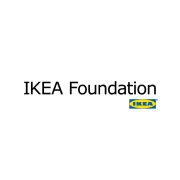 The Foundation donates IKEA products and provides financial support for humanitarian relief efforts. Soft Toys for Education campaign - Every year, the IKEA Foundation donates €1 for every soft toy sold in participating IKEA stores in November and December. The donation goes to Save the Children and UNICEF, and is spent on children’s educational projects. Brighter lives for refugees campaign - The Brighter Lives for Refugees campaign will run in IKEA stores globally from 3 February to 29 March 2014. For every LEDARE (LED light bulb) sold during the campaign, the IKEA Foundation will donate Є1 to the UN Refugee Agency (UNHCR).